From 28th of February to 6th of March 2019, the members of the ESD Exert Net, Prof. Rob O'Donoghue from Rhodes University (South Africa), Dr. Thomas Hoffmann from the Teacher Training Center Karlsruhe (Germany), Rajeswari Gorana (India), Marianna Svinos from bezev (Germany) and M.Sc. 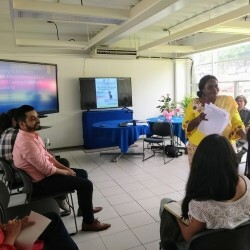 Wendy Morel from the Instituto Escuela (Mexico), implemented the teachers’ workshop “Inclusive Global Learning with the Cashew” in four Mexican states (Guanajuato, Mexico City, Puebla and Veracruz). They were supported by the German non-profit organization Engagement Global, the ESD Expert Net and the Instituto Escuela. 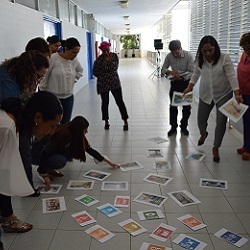 The aim was to present and work with the material “Nuez de la India – Aprendiendo con semillas” (“Cashew – A Global Learning Challenge”) in the context of Education for Sustainable Development (ESD), inclusive education, the Sustainable Development Goals (SDGs) as well as the shared challenges and perspectives from the four countries of the ESD Exert Net (India, Germany, Mexico and South Africa). 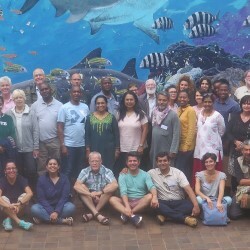 On the occasion of the one-week international network meeting of the ESD Expert Net in Durban, South Africa, a public event took place in the botanical garden in Durban on the 22nd of November 2018. Main topic of the event was the global dimension of Education for Sustainable Development (ESD). 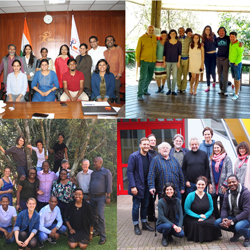 For one week, from the 17th till the 24th of November 2018, fifty active network members from Germany, India, Mexico and South Africa met in Durban, South Africa. In that week, they adopted common constitution for the ESD Expert Net and worked out a draft for the network’s further strategic planning as well as respectively national strategic plans. Furthermore, the existing working groups were continued and new ideas for international cooperations were developed. In May of 2018, the South African academics Prof. Esther Kibuka-Sebitosi of the University of South Africa and Prof. Rob O'Donoghue of Rhodes University did an academic stay at the Institute of Educational Research of the Universidad Veracruzana in Xalapa, Mexico. They were supported by the German non-profit organization Engagement Global, the ESD Expert Net and the UNESCO Chair "Citizenship, Education and Environmental Sustainability of Development". With their contribution "Feliz Birth Day – Mein Geburtstag in der Welt von morgen!” (My Birthday in the World of Tomorrow! 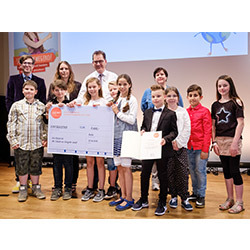 "), the school Am Wingster Wald received the 2nd place of the School Competition for Development Policy 2017/18 in the category "elementary school". 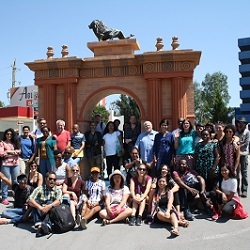 At the end of May, all mentees from the first batch of the Mentoring for ESD-Leadership Programme met for the last time with their mentors in León (Mexico) for the six-day conclusion event. The “Go! 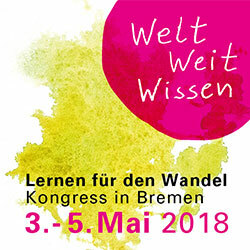 Global Do it yourself Manual” was honored as one of 24 best-practice projects at the WeltWeitWissen congress (03rd to 05th May 2018) in Bremen, Germany. In February 2018, all mentees and mentors from the Mentoring for ESD-Leadership programme met for national mentoring workshops. 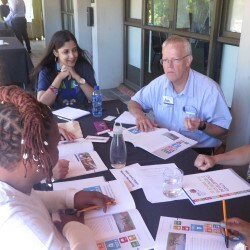 The manual “Teaching the Sustainable Development Goals” was published within the context of the 12th International Network Meeting of the ESD Expert Net.